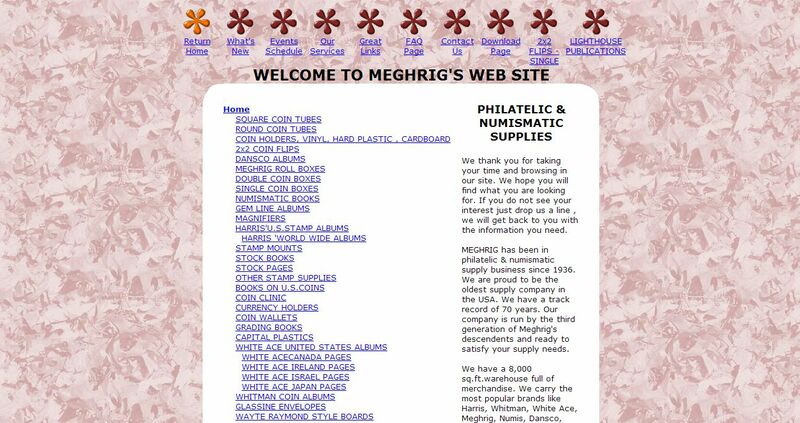 Meghrig Coin & Stamp Supply address, phone, website, and more. Meghrig has been in philatelic & numismatic supply business since 1936. We are proud to be the oldest supply company in the USA. We have a track record of 70 years. Our company is run by the third generation of Meghrig’s descendents and ready to satisfy your supply needs.